CLACS has yet another jam-packed week of events for you to attend, engange with, reflect on, and enjoy. If you are unable to attend the event in person, check out our facebook page, because there is a good chance that there will be a live-stream. This week, events range from critically analyzing the aftermath of hurricanes Irma and Maria, celebrating Mexican music, and collaborating with Quechua speakers and students from across North America. A roundtable on the aftermath of hurricanes Irma and Maria. How have environmental and colonial histories shaped recent events? What fragile infrastructures and uncertain sovereignties have been revealed? 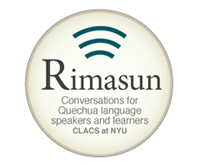 Every year, The Center for Latin American and Caribbean Studies (CLACS) at NYU hosts “#MotherTonguesUnited”, an event tied to a movement to unite speakers of historically undervalued languages in an effort to dispel myths and stereotypes surrounding those languages. Many languages have been included in this movement, including Papiamentu, Haitian Creole, and Garífuna. This year, CLACS is excited to be hosting a Language Fair that focuses on less-commonly taught languages! This special edition of #MotherTonguesUnited aims to celebrate the work of various language departments and centers throughout NYU while creating a community space where students can learn about and engage in these languages. Mexico is the 2nd largest latin market right after Brazil. Yet, it shows no signs of stopping. Join us to as we discuss the impact of Mexican, and Latin music, in the global market, as we unravel the stories of some Mexican professionals in the music industry and musicians, as well as music industry professionals who deal with Latin American content. We will explore the cultural challenges and commercial opportunities that Mexican music has in the American market, and we will also discuss the evolution of Mexico’s music industry. Yamay Mejias Hernandez, also known as “La Fina,” will discuss her career as an Afro-Cuban feminist rapper and Director of “Somos Mucho Mas.” Somos Mucho Mas is one of the only female-led hip-hop initiatives in Cuba and serves as an intersectional anti-racist and feminist platform for Afro-Cuban women. As a rapper and community organizer, in a country that claims to have solved issues with racism, La Fina presents a unique perspective as she uses hip-hop to fight for social change. 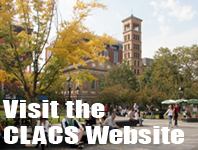 This entry was posted in CLACS News, Events and Happenings, Indigenous & Diasporic Language Consortium, Quechua-Related Info and tagged Caribbean, Cuba, La Fina, Mexico, mother tongues, music, Quechua. Bookmark the permalink.